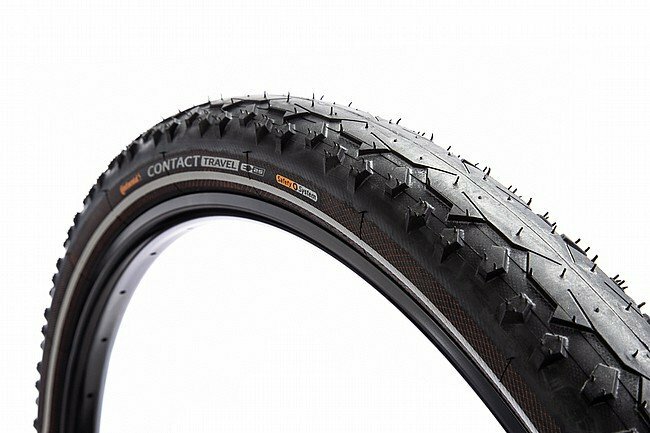 The Contact Travel Reflect 26” Tire is an all-terrain endurance and touring tire with a lightweight yet durable Kevlar-reinforced carcass and reliable sidewall protection. It’s designed to provide long-lasting comfort and adaptability. Really like these tires. Its getting harder and harder to find a good 26 touring tire. These tires have a good tread set up for roads and gravel pathways. Smooth rolling with some decent bite on the gravel corners.